Is there a better alternative to Daily Expenses? 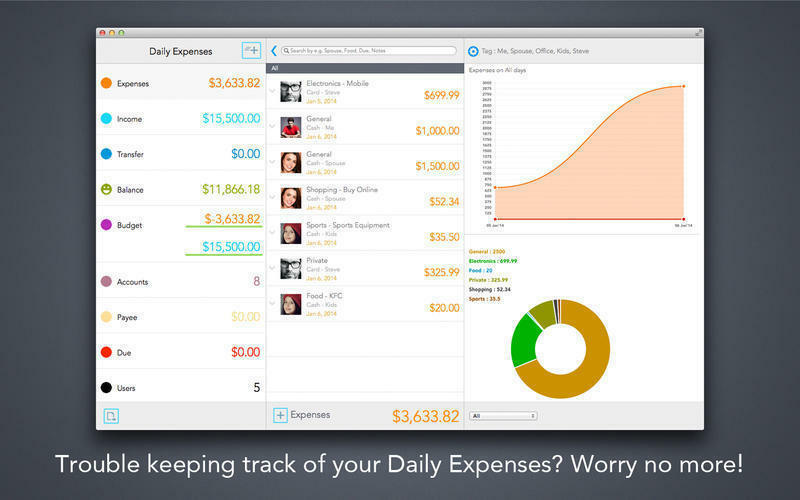 Is Daily Expenses really the best app in Finance category? Will Daily Expenses work good on macOS 10.13.4? 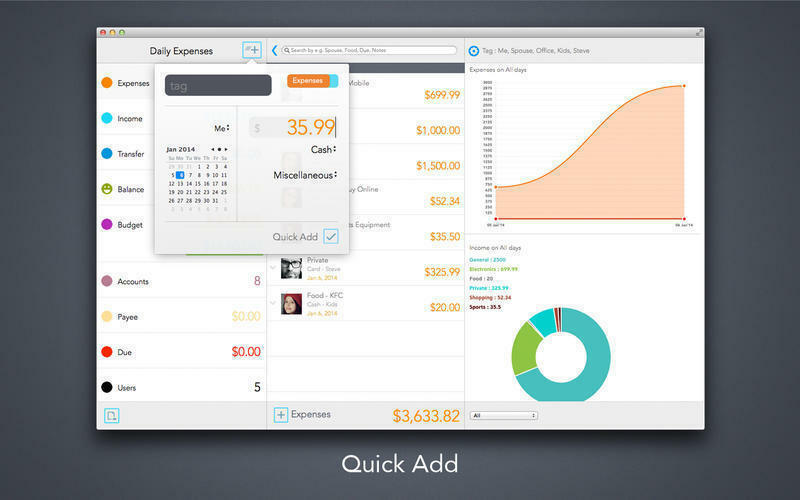 Daily Expenses is here to help control the flow of your money. It's the easiest way to balance your expenses and income. 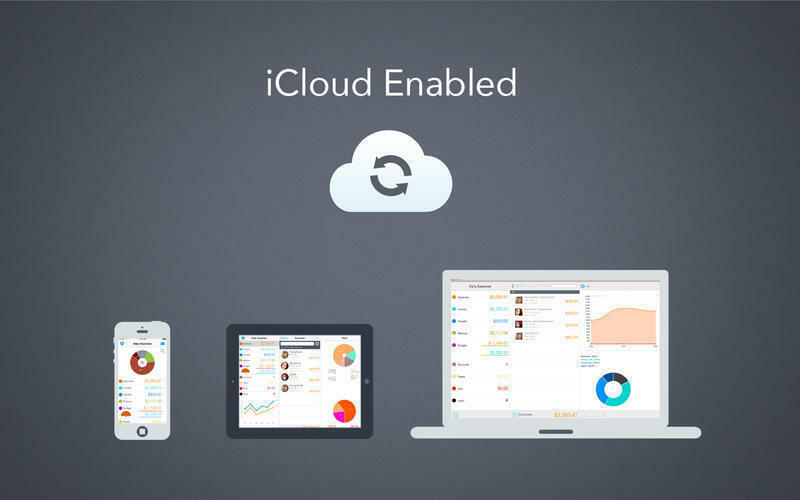 It allows you to select your categories and even allows multiple users. You can also customize suitable payment modes, categories, dates, expense details, etc. 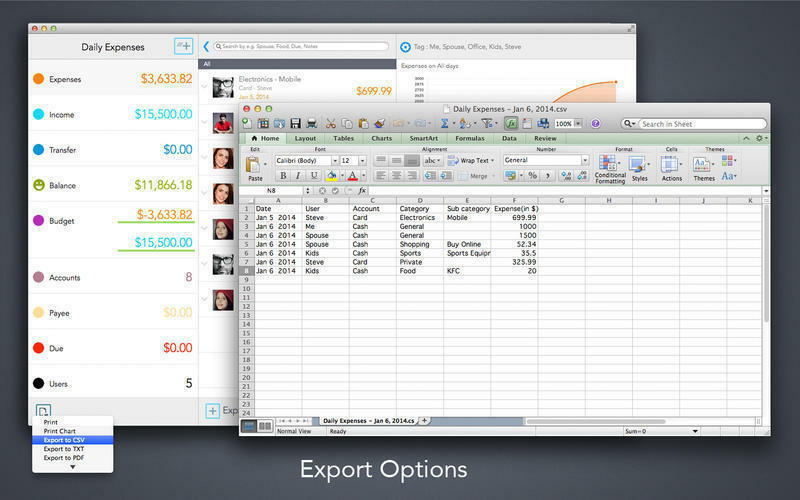 Add expense amount, date, category, payment method, description. 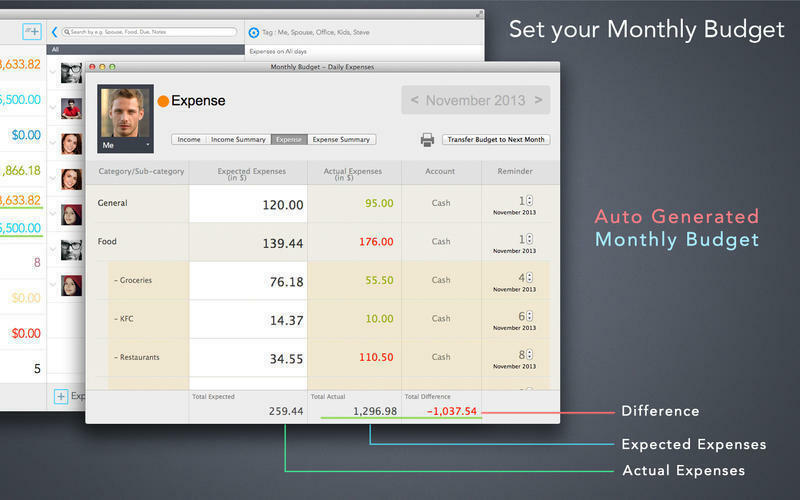 View your expenses by category or by payments. Customize it according to your needs. Very simple and intuitive interface. Search and Advance Search options. Daily Expenses needs a review. Be the first to review this app and get the discussion started! Daily Expenses needs a rating. Be the first to rate this app and get the discussion started!